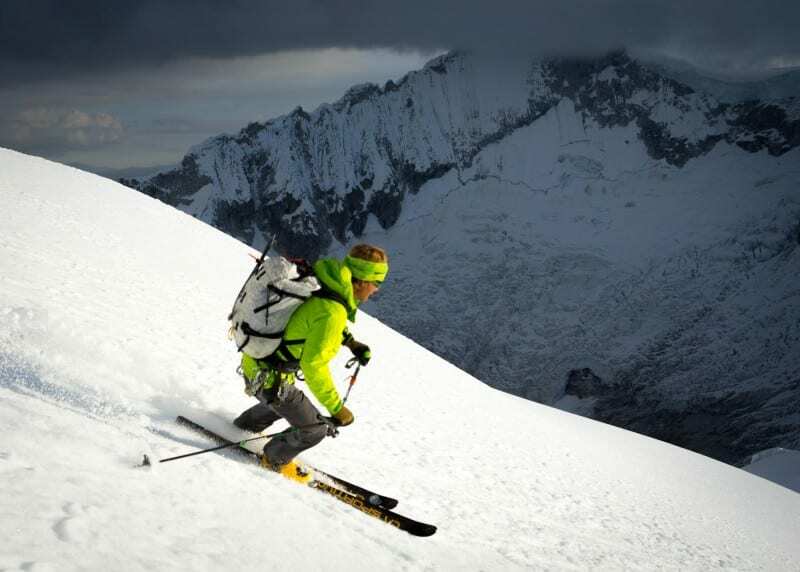 Peru is one of the most spectacular places in the world to learn the complex art of ski mountaineering. 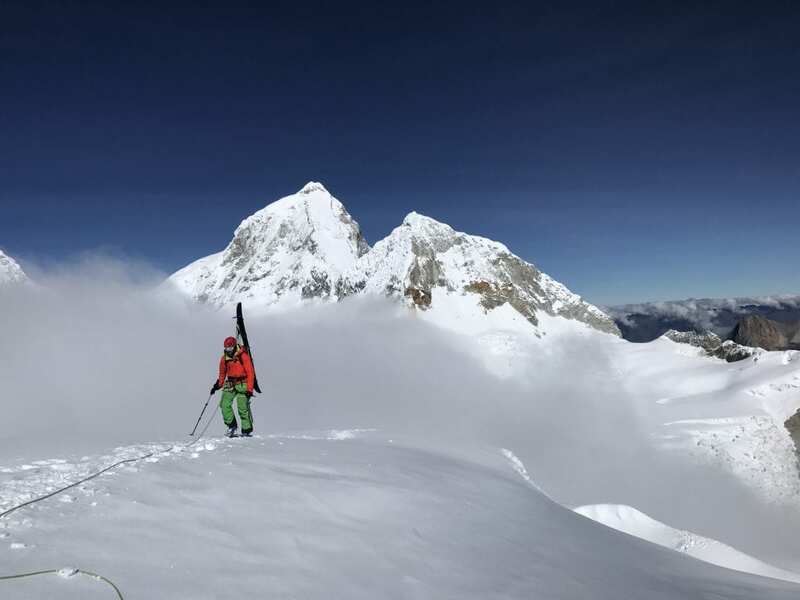 With challenging crevasses, white outs, highly variable conditions, and incredibly steep and wild skiing, the Cordillera Blanca is a perfect location to develop skills that are critical to any aspiring ski/snowboard mountaineer! 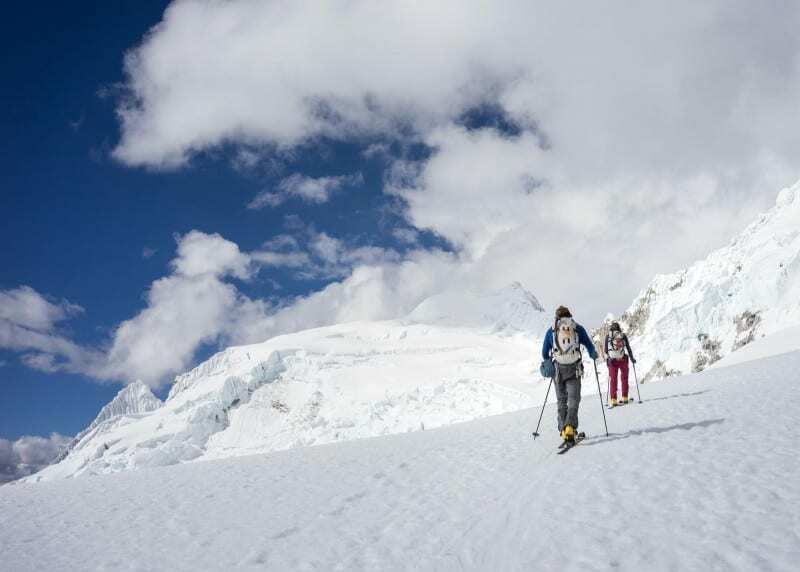 Due to the fact that the mountains are so easy to access, our expeditions to this region enjoy more time in the alpine zone learning technical skills and less time on long approaches to base camp. We will aim to climb and ski/snowboard Yanaphaqcha (~18,000′), Pisco (~18,900′) and/or Copa (~20,000). The ultimate goal of the expedition is for students to lead the summit bids on these glaciated peaks, to ski the majority of the descent (some rappels and/or down climbing is usually mandatory), and to learn the skills needed to lead similar expeditions with friends or clients in the future. This course starts in Huaraz, Peru (~10,000′) where all expedition members will meet at 8am on the first day of the course for an orientation. We will stay in a family-run bed and breakfast called Familia Meza. We will spend the following three days acclimatizing, organizing food and gear, and preparing for the mountains. After a half-day of driving and a half-day of hiking, we will arrive at our base camp at about ~15,300′ near the Refugio Pisco. After spending a couple days acclimatizing, we will make an attempt on Nevado Pisco, ~19,000. We will then move basecamp across the Llanganuco Valley and practice the skills needed to climb and ski the extremely wild, West Face of Yanaphaqcha, ~18,000. We will spend the remainder of the trip developing educational outcomes that will be tailored to the students’ needs. The expedition will be supported by porters and/or burros and burro drivers, known as ‘arrieros,’ as well as a camp cook! Please note: any expedition that is under enrolled will be canceled 6 weeks before the expedition begins. In such a case, a full refund will be available. This has yet to happen on any SIET expedition.